Elizzabeth Hope: Looking back at 2014!! Another day, another year. 2015 will be a good year. This year has come and gone so fast! I don't even know where to start! One of my New Years Resolution is to blog more! Obvi! I want to start taking more outfit of the days and creating a new style for myself. (classic...) But before I start with that...the best moments of 2014! No negative moment! Like the song Let It Go states...The past is in the past!!! LETITGO!!! 1. The #1 BEST MOMENT OF 2014 was being an extra for the TV show Odyssey premiering on April 5th! I'm crossing my fingers that my scene is in the TV show!!! I've been wanting to tell you this since April of this year! 2 days shooting and it was the best time ever! It made me realize how much I want to act and really try to make a name for myself! I was also in The Greens Are Gone an indies film as an extra as well! I'll keep you updated on both! 2. I successfully made my non-textiles outfit! 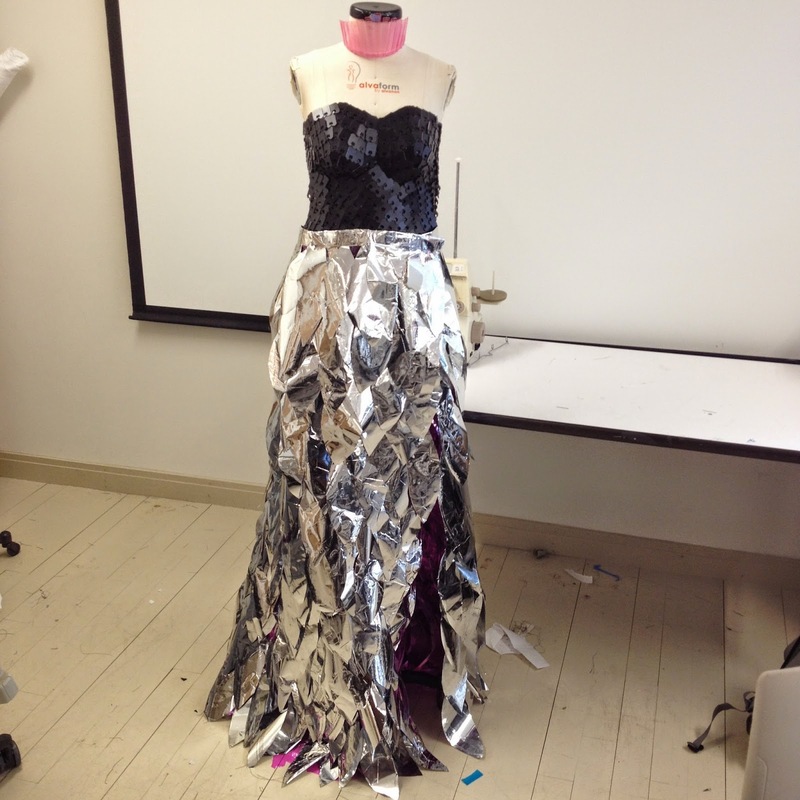 Made of duck tape, bread tabs spray painted black, and mylar balloons. 3. Playing with Lilly! Obvi! She's the best! 4. Even though I didn't go through and study abroad in London I'm happy I went and actually tried. I know a lot of people who didn't go because they thought something was going to happen to them or their family, ect. Although I feel like I've learned so much more about myself then actually staying abroad. 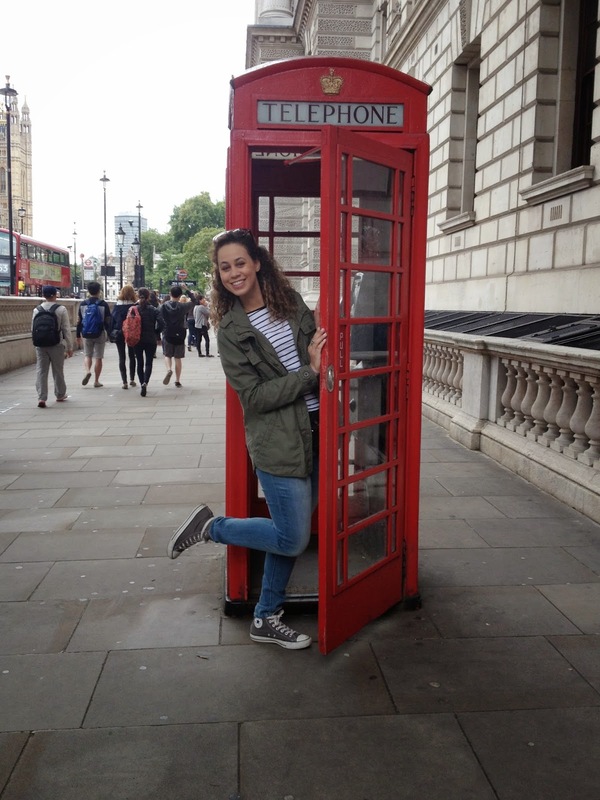 I'm happy with my decision and at least I got to visit the Queen and take a telephone booth picture! Now I can cross that off my bucket list! 5. I got to see Iggy Azalea in concert! She's so fancy! And amazing! Although I wish she stayed on stage longer!! But still very cool to see her live! 6. Dying my hair blonde was a really big part of 2014! I finally went practically full on blonde!!! I love it!!! I dyed it ombre because of London but I'm dying it back in January again! Can't wait! 7. I got to meet Johnny Cupcakes! That was a pretty big deal!!! I was really excited about that one!!! He's so inspiring and really fun!! I've been a fan since forever!!! -I got a new job that I love so much and the people at my job are tots awesome!!!! -I missed my friends lots while they were away abroad! -I reached over 3,500 views on one of my videos!!! Woop Woop! Subscribe here! More videos to come!!!! -I reached over 130k views on my blog! Really big deal! So AMAZING!!! This year has been filled with happiness, tears, heartbreaks, and new loves. But the past is the past and looking back I didn't do as much as I wanted to. It's almost 2015...time to step it up...they didn't make the term YOLO for nothing! 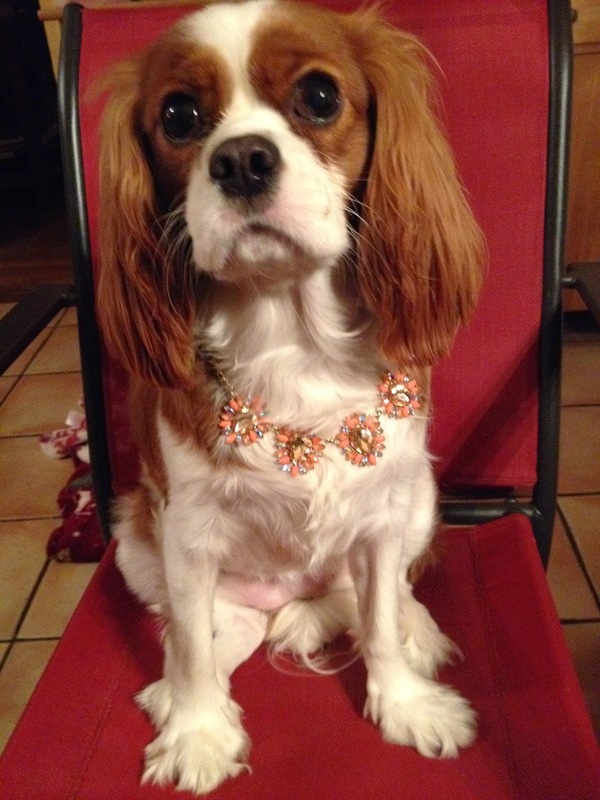 I am in awe of the dress you crated using bread taps and your puppy is so cute! Such a fun year for you! That dress you made is amazing! It seems it has been a great year for you. I wish you all the best for the upcoming year.